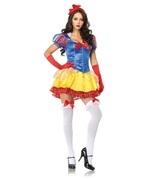 Hey Magic Mirror, Am I hot or what?... 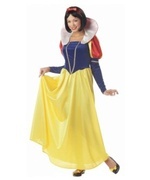 and she rocked happily ever after! 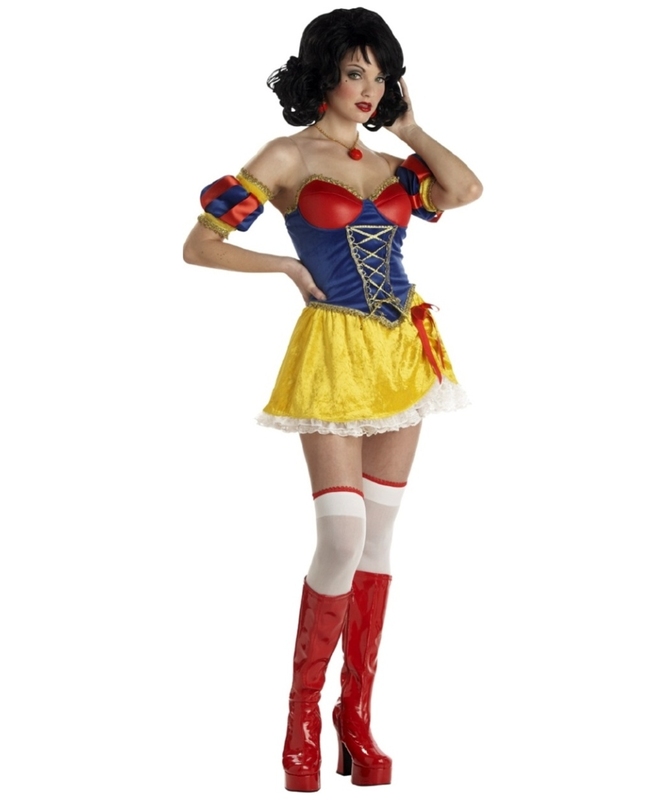 Rebel Toons Snow White Women Costume includes velvet bustier with underwire support, boning and clear straps, crushed velvet skirt with lace trimmed petticoat, dark yellow crushed velvet hot pants with side lacing, detachable sleeve puff and white thigh high stockings with red top part. This officially licensed Rebel Toons (TM) Snow White Costume for women is available in adult size Small (6-8), Medium (8-10) and Large (10-12). 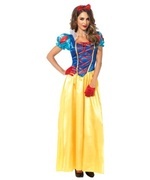 Made of 100% Polyester. Care Instructions: Hand wash cold water, do not twist, line dry and no bleach. 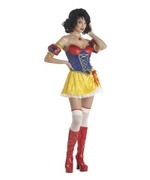 Review(s) for " Rebel Toons Snow White Women Costume"